Need more information about booking Home 1363049 ? The Mermaid Inn is perfect for special occasions. Unlike many other venues that offer large group accommodation The Mermaid is a single residence that everyone stays in, and features a huge dining area with breathtaking panoramic views – perfect for getting your big group together. The impressive 17th Century Grade II Listed Coaching Inn has been recently refurbished to a very high standard and blends luxurious finishes with the historic character of 400 year old oak beams. The Mermaid has 13 luxurious bedrooms, all of which are en suite. 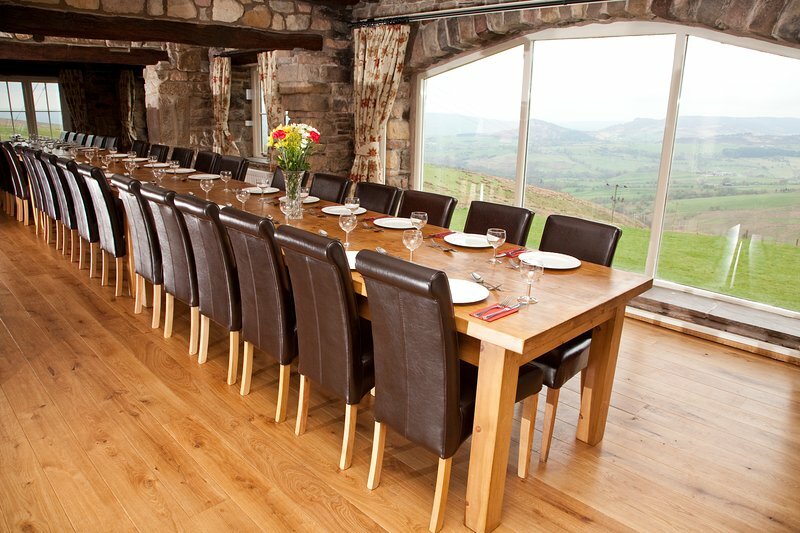 The most impressive feature for groups is 12 metre dining room, with views of The Roaches & beyond that seats up to 34 around a single table. In addition there are no fewer than three adjacent lounge areas with a total of 8 leather sofas, 2 TVs, Karaoke, not to mention your very own bar (the old Pub) complete with pool table, and table football. This House has 13 bedrooms, 13 bathrooms and sleeps 34. It’s been listed on Holiday Lettings since 10 Feb 2014. Located in Peak District National Park, it has 61 reviews with an overall rating of 5. The average weekly rate is £8750. The Owner has a response rate of 95% and the property’s calendar was last updated on 21 Apr 2019. Booked the Mermaid for my 50th birthday, wanted somewhere fairly central n UK due to people travelling from all over the country, so this was perfect. The Mermaid is the perfect size to accommodate 34 people, the rooms are an ideal size and en suite. The pub was a central point for the weekend and there are sufficient break off areas for those wanting to get away from it for a chill. Locally there are some great pubs, the Reform and the Lazy Trout (superb Sunday Dinner) I would definitely recommend this venue and will be looking to return in the future. I recently booked the mermaid inn for a walking weekend with 16 close mates and we had a truly fantastic time. The Inn was perfect for us with loads of space and lots of well designed rooms all with en-suite bathrooms... the darts, snooker and table football kept us entertained when we weren’t out walking or playing sports. At meal times the long tables and brilliant views of the Peak District made the event even better! It has a really great feel to the place and we all said we’d wished we were staying longer! I’ll definitely be rebooking for a return trip and recommending to others! The Mermaid Inn is an amazing property. The house is huge, all with decent sized bedrooms and en-suites, with new or recently re-refurbished facilities. The views form the dining room are exceptional and the bar area incredible. Made for an excellent weekend. Thanks! We booked the Mermaid part based on nostalgia as I remembered going there when it was a working pub in my youth, and partly based on the reviews. Could it be as good as it seemed? well - it could not have been better in any way. The rooms are smart and comfortable, the bar is the perfect party and games space and there is a variety of cosy spaces for chatting, chilling, enjoying a bit of down time all at the same time. Local supermarkets deliver to the door and we enjoyed the excellent services if Chef David at the Dinner Party Company for my 60th birthday celebration - super food and super efficient and friendly service. And all that before mentioning the most magical thing of all - the breathtaking views and magnificent walks right from the doorstep. I have loved the Peak District all my life and been to many parts of it over the years... trust me... this less well known part is amongst the very best. perfect place, perfect setting... and the scene is set for memories to last a lifetime. Every year, I get together a common interest group of friends from across the country to relax, enjoy ourselves, explore the local environment and catch up. Finding somewhere to host all of us is tricky - but Pete, Marie-Axelle and Mark couldn't have made it easier or more hospitable or been more helpful in the lead up and on arrival. The Mermaid Inn itself is remote, beautiful and superbly kitted out. Every room had everything everyone needed. The entrance into the bar makes you feel special, the dining room is just breathtaking (not a single person didn't walk in and go "look at this view," or an expletive filled version!) and the social areas are the right size for groups to break off and have a chat. Then there's the environment around you. I could tell you about the view, and how the photos don't do it justice. I could tell you about the hills around you and the potential to explore. I could tell you about the peace, the shooting stars, the sunset and sunrises you feel so lucky to see. There are so many great things I want to say or explain, but if the words exist in the English language to express how happy being there surrounded by my friends made me feel, I don't know them yet. There are supermarkets nearby, enough space for everything you need, excursions, walks and sheep who'll leave you alone. We'd been somewhere else the previous years, but this blew the other venue out of the water. I'm hoping to go back next year, and so is everyone else. Hope no-one beat us to our preferred date!! WOW!!! What a place! This is the place to be if you want a family & friends gathering, all rooms en-suite, kitchen equipment, crockery, glassware and cutlery to easily support having 34 people there. Brilliant still having the bar area still in place and the massive table is perfect! The view was second to none, we did have amazing weather but even in winter I would think the view would still be as stunning. Will certainly be back next time we have a big celebration!!!!!!! 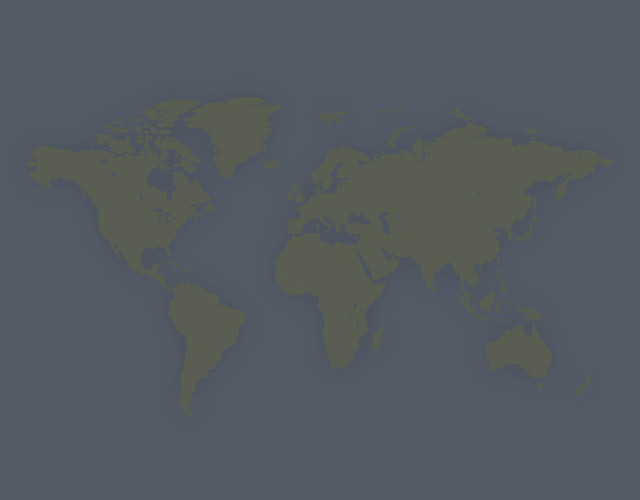 Wow what a place! Mermaid Inn you did us proud! We needed a property in great surroundings with en suite rooms for all our guests and big enough to fit nearly 30 people. We got that plus much much more. The dining room with the panoramic view of the Peak District was the setting for our Gatsby dinner and lounge for our Casino. The pub was the ideal meeting place for our guests to mingle and get to know each other. Our chefs cooked a 4 course meal in the kitchen that provides everything they needed. The next day we had an adult sports day in the grounds and it was the perfect size. Saturday evening we turned the hall into a 90’s setting and danced the night away. We searched for months to find the perfect venue and I’m so glad we found this! Also a note on the staff, in particular the manager who bent over backwards for us - a true gent! We had a fantastic long Weekend at the Mermaid celebrating my 40th Birthday with a party of 29 including 12 kids plus 3 dogs! There was more than enough space for everyone, bedrooms were very relaxing and all similar sizes so no squabbles about who got the best one! The living space gave plenty of room for people to different things during the day, the bar games of pool, darts and table football were great as well. The location was beautiful, despite the gales and blizzard we still managed a walk and it was close enough to amenities to pick up takeaways and to the supermarket to keep us well stocked all weekend. We're now looking for an excuse to book again in the Summer to enjoy the outside more. You'll need to send Peter (the owner) an enquiry to book - the owner will let you know how to pay. If they accept online booking they'll send you a quote and info on how to pay. If you pay through our website you’ll be covered by Payment Protection. Or you can send Peter (the owner) an enquiry through the contact form to request a quote. Peter (the owner) will email you the total cost for your dates and how to pay. Send Peter (the owner) an enquiry through the contact form requesting a quote for your holiday dates. Peter (the owner) will email you the total cost for your dates and how to pay. Peter (the owner) of this property is responsible for taking and refunding your damage deposit. The damage deposit terms should be agreed before booking and outlined in the booking contract, if Peter (the owner) supplies one. Please refer to these details or contact Peter (the owner) directly if you have any questions. You'll need to contact Peter (the owner) to cancel. They should have provided their contact details when you made your booking - otherwise, email them through the contact form. You'll need to contact Peter (the owner) to edit your booking. They should have provided their contact details when you made your booking - otherwise, email them through the contact form.